A gangster has said many undertrials pay hefty money to Arthur Road jail staff for a "comfortable stay". 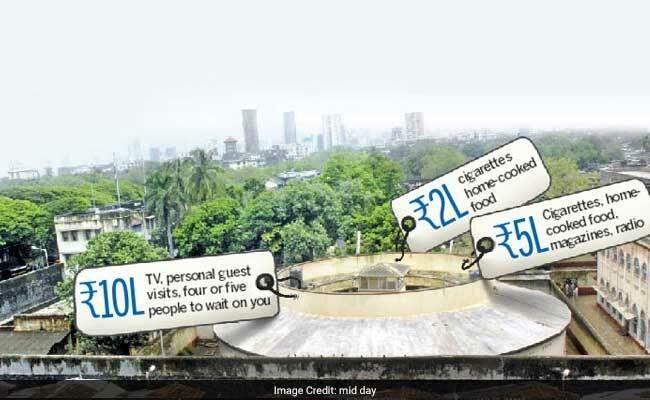 Mumbai: Mumbai's oldest and largest prison, Arthur Road jail is selling a day-night luxury package. The jail's anda cell (egg-shaped high security block) can be secured for a sum of R 5 lakh monthly over the decrepit, unhygienic and unsafe normal barracks, a gangster has said in an application made to the Bombay High Court recently. A 'comfortable stay' includes the delivery of a personal tiffin, access to cigarettes, magazines, playing cards, a carrom board, television, radio, and other facilities. In a recent application made by underworld gangster Vilas Bharati, a member of the Chhotta Rajan gang, lodged in Arthur Road Jail in HC, he has alleged that many undertrials there are paying hefty amounts to the jail staff for a "comfortable stay" inside. The accused in extortion and murder cases wrote to the court, alleging that he was thrown out of the anda cell and put in 'normal' barracks because he couldn't afford to pay R5 lakh. According to Bharati, he couldn't fulfil the demands of jail officers or entertain them. He alleged that officers told him that another accused (involved in a cheating case) put up in anda cell was paying them R5 lakh a month, and because there was no "income" from him (Bharati), they were shifting him to regular barracks. "I was in anda cell for 38 months; there was not a single complaint from or against me. And now, suddenly, they have thrown me out from there. I informed the judge, but jail officers then submitted bogus reports on the matter in court," alleged Bharati. He added that since he has been shifted, his health has got affected because of the other accused's bad habits. "In the barracks, almost every accused smokes or consumes ganja, dirtying the living space to no end. I want to know why the canteen is selling tobacco and cigarettes to the inmates in the first place," he said.